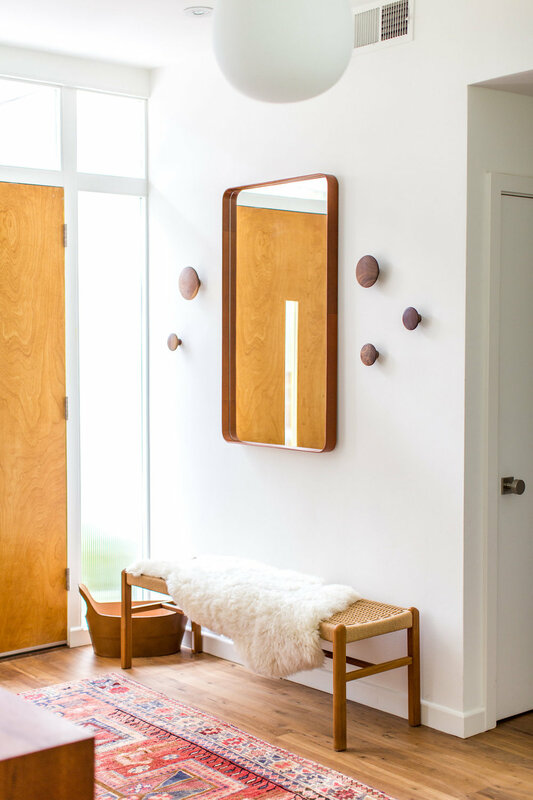 We recently caught up with Natalie for the inside scoop on her signature organic mid-century modern look, and how she and Lewis/Schoeplein Architects incorporated it seamlessly into this true-to-its-roots west LA residence. DC: What were your goals for this home? 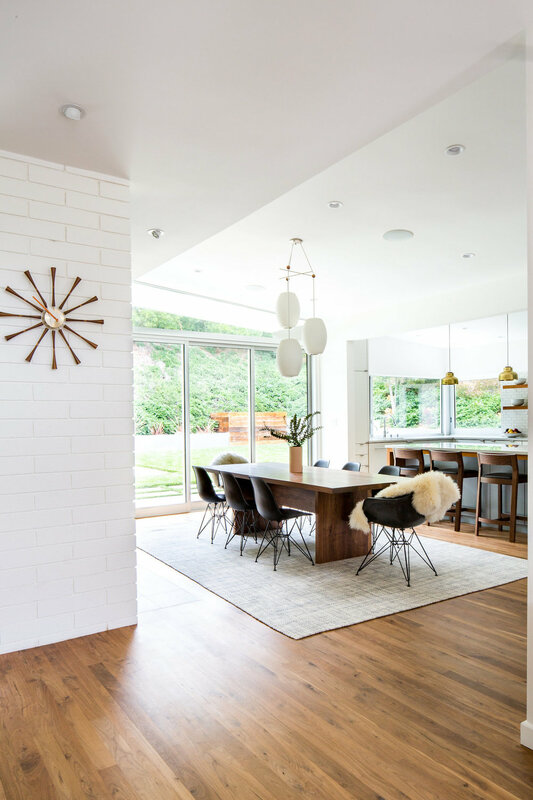 NM: I wanted to distinguish the home’s amazing mid-century modern renovation with furnishings and decor that felt relaxed and family-friendly—not gimmicky or time-capsuley like some mid-century modern homes can get. 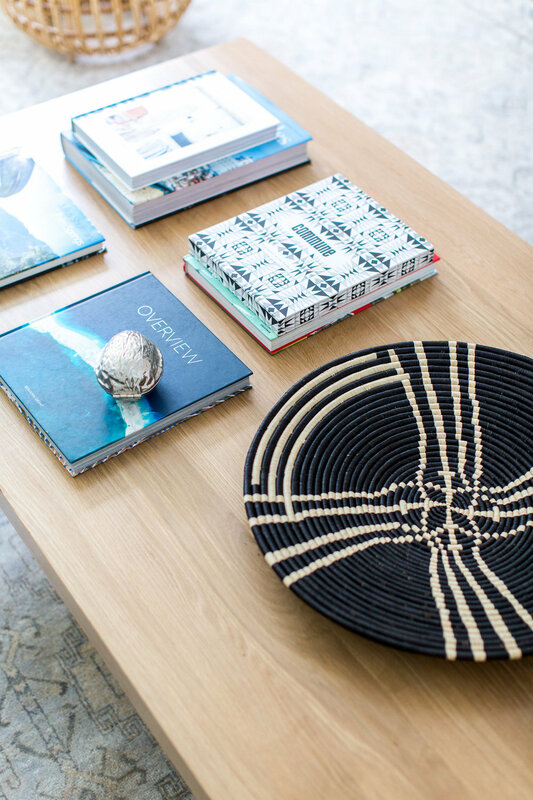 DC: We love your fresh take on bohemian interiors. How do you keep things from veering too far into bohemian territory? NM: A lot of modern boho interiors get to be too busy and sloppy. 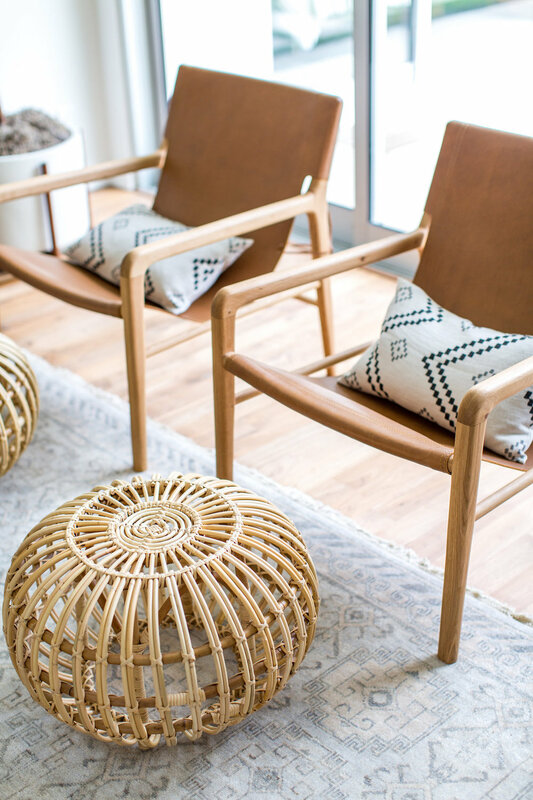 The way I handle it is to use boho sparingly to add warmth while letting the modern furnishings be the focal point. DC: How did you accomplish that in this project (especially with a client that said “no boho, please”)? NM: I delicately wove in an ethnic pillow here and a vintage rug there. 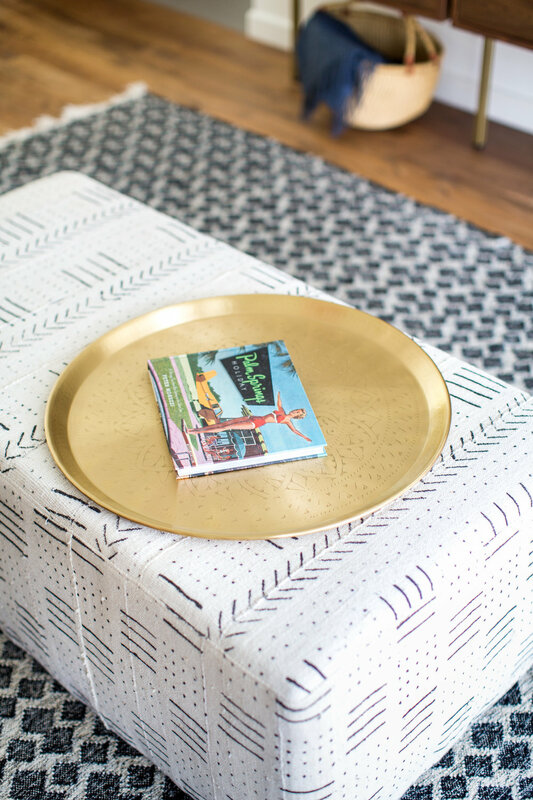 Little by little my client started to ask for more of those touches and I pointed out to her that the items she loved were actually what made the home more boho. I suppose I sort of tricked her into adopting my signature minimal organic bohemian aesthetic! DC: Was there a specific piece of furniture the client owned that you felt was important to incorporate into the final design? 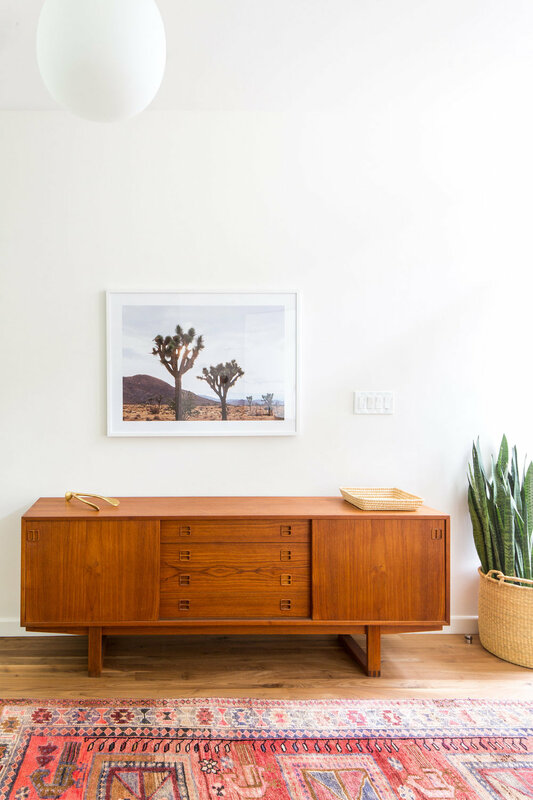 NM: Oh my gosh—my client’s MCM entry credenza is perfection. We built the entire entry motif around that one incredible piece. The mix of midcentury and global at the entry became the thread we wove throughout the house. DC: We love how family friendly and relaxed the vibe is. Besides making it a true family home, how did you make sure the home conveyed your client’s personality or interests? NM: This particular client is a lawyer who studied urban planning and and also has a deep appreciation for design. We built a custom media center/bookcase in the family room to showcase her collection of urban planning books as well as an extra-large coffee table to house her California design books. To see more of Natalie's work, click here.